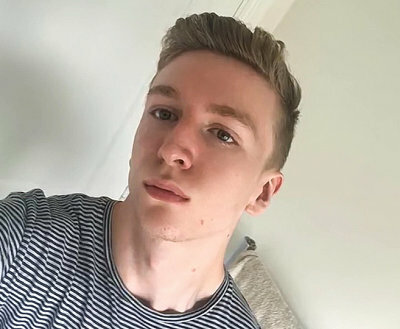 MODEL INFORMATION : Aaron is a skinny gay guy with a love of getting fucked. He's the kind of guy you might think you could pick up anywhere without even offering him any cash for his services. He's a real bottom too, and you can just imagine him being chucked around a bedroom by a real dominant fucker, and him loving it too!